We provide an outlet for local acoustic performers – singers, songwriters and poets all welcome. We encourage all levels – novice or expert – to hone performance skills in front of a listening and empathetic audience. Everything is provided – microphones, stage, lighting, leads, music stands – plus a dedicated sound tech who will work with you to make you sound amazing! If you have specific requests please talk to him before the event starts. We are a listening audience that focuses respectfully on the performers and lots of encouragement. Perform material you know – we don’t expect perfection but you’ll always come across better if you really know your stuff. 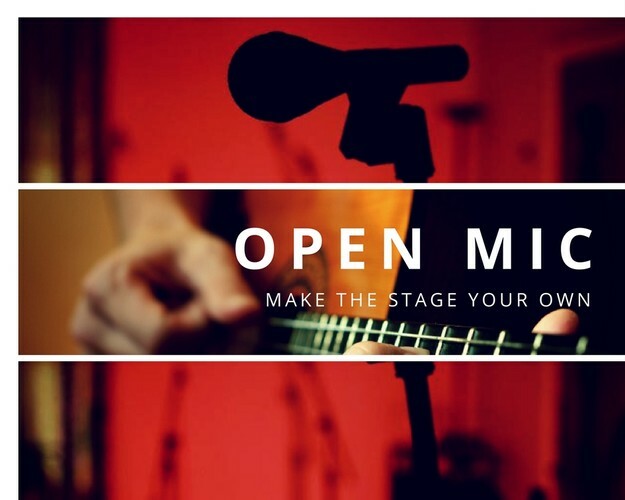 However, if you are a regular performer at our open mics we challenge you to bring new material to share. Further develop your repertoire whilst offering the audience variety. Sign-up time is from 7pm. Please come promptly to ensure a time-slot. You will get to perform two songs, with a time-limit of up to 10 minutes; this includes your setting up and introductions. - Be tuned-up and ready to take the stage when it’s your turn. - Stay close to the mic for best vocals – our mics work best between 25 and 75mm. - After you play, the polite thing to do is stick around and listen to others. - Be positive and encouraging. It takes guts to get up and everyone deserves bouquets for doing that. - We all make mistakes, blow chords, and forgets lyrics sometimes. Don’t worry and don’t apologise. - Don’t play two songs in the same key back to back. Even if an audience doesn’t know, their ears will start to get bored. - Don’t apologise before you play a song. We want to be excited about your song, support yourself by being positive. - Do have fun! Savour the experience. You transmit your feelings from the stage – so if you have fun so will the audience. - Practice your introductions, short & specific – you’d prefer they remember the song and not the long-winded ramble – right? - Do prepare. Don’t launch into something you’re still learning – be kind to yourself and take the time you need to prepare and be confident! - Keep coming back. You’ll get better and better… and bring your friends to cheer you on. Doors open 7pm so you can sign up and settle in and relax in the friendly atmosphere. Door sales cash only: Tea, coffee, biscuits and cake available during the break.